An 87-year-old Toronto woman died in December after waiting three hours with abdominal pain for an ambulance that was delayed "due to limited resources," a CBC investigation reveals. An internal Toronto Emergency Medical Services ambulance dispatch record also shows seven ambulances were dispatched to her location but then diverted to other calls. The incident highlights a growing challenge for Toronto and the rest of Canada, as an aging population puts more demand on emergency services, including ambulances, advocates for the elderly say. "When we're talking about people in retirement homes or nursing homes, by definition people are there because there are certain things they can't do for themselves," says Susan Eng from CARP, a not-for-profit seniors advocacy group. "It's our obligation to make sure that they are safe," she said, "And in this case, obviously the system failed them." Ontario Ministry of Health and an internal review by Toronto EMS are both investigating the incident. The initial 911 call was placed by an employee at the woman's retirement living residence at 3:14 p.m. ET on Dec. 30, 2012. At that time the Toronto Emergency Medical Services dispatcher advises the home of a possible delay. The woman's complaints of abdominal pain and aching body had been rated alpha, the lowest-priority emergency call. EMS aims to respond to alpha calls within 21 minutes. Fifteen minutes after the call, an ambulance was dispatched, but it was diverted to another emergency before it arrived. At 4:20 p.m. a dispatcher called the retirement residence back. The call report states the dispatcher noted "late response due to limited resources" and explained the closest ambulance was approximately 18 minutes away. But that ambulance was also diverted at 4:25 p.m., just a few minutes after being dispatched, and more than an hour after the 911 call was placed. According to the EMS report, dispatchers tried sending seven ambulances in all, but each one was diverted. At 6:29 p.m., more than three hours after the initial call, the woman stopped breathing, and EMS was told she was "VSA," or vital signs absent. The woman was then rated an echo-level call — the most urgent — but by the time paramedics arrived, she was dead. "Once we received notification about the change in the patient's condition, we responded with our highest level of response, and paramedics were there within five minutes of the change in call status," Toronto EMS said in an email to CBC News on Jan. 30. Mike Merriman, a chair with CUPE Local 416, says he has tried for years to warn the City of Toronto that someone would get hurt because of insufficient resources for ambulances. If you have any information on this story, or other stories, please contact us at investigations@cbc.ca. "You can't keep operating at 10- to 12-year-old staffing levels with population growth and an aging population and not expect problems," Merriman told CBC News. 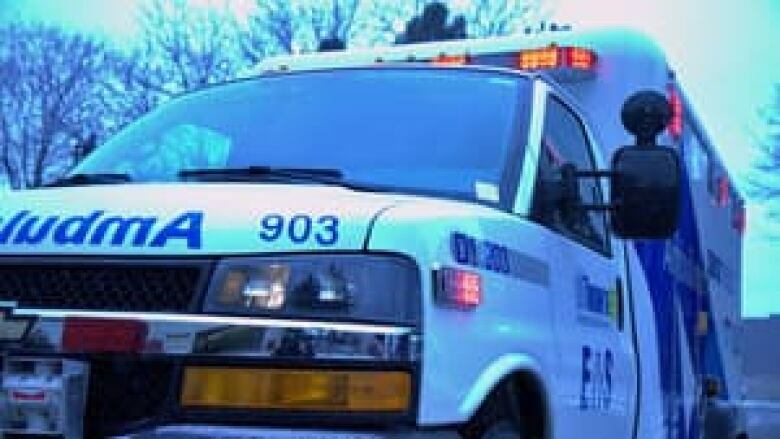 "By December 2012, it is expected Toronto EMS will have 36 vacant paramedic positions which will require EMS to reduce the available ambulances by an equivalent of 6.5 ambulances on a 24-hour period. The decreased vehicle count will reduce the availability of ambulances for emergency calls." EMS was also approved for 50 hires in January of this year. The positions will take months to fill, and Toronto EMS told CBC News even that is not enough to meet demand. According to a January 2013 report from Toronto EMS, between 2005 and 2011, transport volumes increased 36 per cent. During that same period, the department saw only a one per cent increase in staff. The same report states: "EMS treats 30 per cent of all residents 75+ years of age at least once per year," and that the demographic is a key driver in the increased number of emergency transports. Toronto EMS and the city manager's office are expecting the results of a third-party EMS efficiency study in March, which will make recommendations on resources, including staffing. Paul Charbonneau, president-elect of the EMS Chiefs of Canada, says emergency medical services across the country are facing growing demands in a climate of restrained budgets. He says innovative solutions and strategies are needed. "I think the longer we go down this timeline, the more urgent it's going to become," says Charbonneau. "We're beginning to hit the beginning of the tsunami, and we know it's coming, and we have to prepare for it. "There are pressures on the system. There are needs for strategies in every province on how to deal with the increase." In Nova Scotia, for instance, health officials are looking at making a pilot project from the city of Halifax a province-wide program. Officials say the project, which assigns one specially trained paramedic per 12-hour day shift to respond to calls in nursing homes only, has kept more ambulances on the road, while treating patients at home and keeping them out of the emergency room. Do you have an ambulance story to share?